I started putting on weight after giving birth to my daughter. Busy running my own business and raising a daughter, my health took a back seat. I ate whatever I wanted and barely exercised, if at all. Slowly but surely, my weight kept going up and up. I tried a variety of exercise programs and diets in a bid to lose weight but none of them was very effective or sustainable. You name it, I’ve probably tried it. I then thought to myself, maybe I should engage a professional to help me on this. I engaged the help of a trainer (not Shaun). Results were slow, if at all. A few weeks into training, my family and I went for a short holiday and to take a break from training. On that trip, I had reverted to my old eating habits and found out that I’ve gained a few kilos when I got back. On our next training session, the trainer opened the door, noticed that I had gained weight and started laughing at me, right in my face! Never have I felt so hurt and embarrassed. Needless to say, I stopped using his services. This bad experience left a bitter taste in my mouth I gave up on trying to lose weight altogether. I decided to that if I were to succeed, the help from a professional would be helpful. However, with the bad experience that I had from before, I was very careful in seeking out a trainer. After much research, I settled on Shaun and contacted him. Upon meeting him, I could immediately tell a difference between him and the previous trainer. He was knowledgeable, professional and very motivational. As he used to be overweight himself, he could empathize the feelings I was experiencing and kept encouraging me throughout the entire process. Another thing I noticed about Shaun is that he genuinely cares for his clients and all he wants is what’s best for me. He doesn’t try to push me to buy supplements or try to get me to train more than I need to so that I’ll have to purchase more sessions. Trainings and eating healthy were tough but he was always there to motivate me to stick to the program. Even when I slip up over my eating habits, he’ll encourage me to get me back on track. Over the span of a year training with Shaun, I lost 24kg and have never felt better. 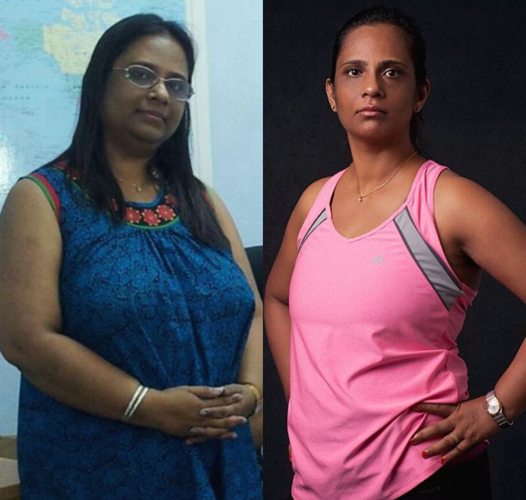 In the process, I did not only lose weight but also gained my health and self-confidence. Thank you Shaun for all that you did for me!